Over 500 stickers are compiled in one giant sticker book. 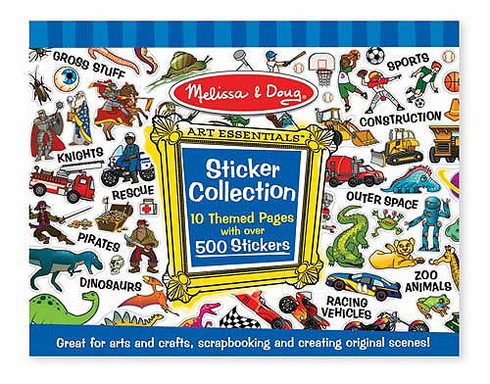 Each page is packed with stickers to illustrate favorite topics including dinosaurs, construction, outer space and many more. Create a picture or tell a story with these favorite themed stickers. Dimensions: 14" x 11" x 0.19" Assembled. Recommended Ages: 3+ years.